With Apple's Worldwide Developers Conference coming up next week, pundits are speculating on hardware the company may introduce in its first major media gathering of the year. 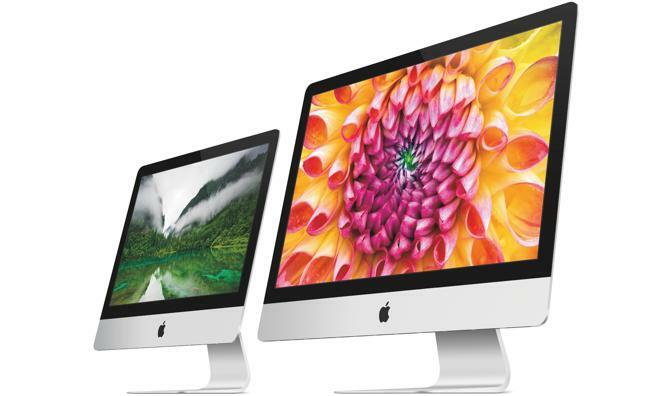 One well-informed analyst believes the stars of the show will be a cheaper iMac and maybe an 8GB iPhone 5s. In a research note obtained by AppleInsider, noted KGI analyst Ming-Chi Kuo predicts Apple will announce cheaper versions of existing hardware alongside the expected debut of iOS 8 and OS X 10.10. Update: In his trademark style, well-connected insider Jim Dalrymple of The Loop put the kibosh on Kuo's predictions, saying "nope" to both a cheaper iMac and 8GB iPhone 5s launch at WWDC. Specifically, Kuo believes less expensive iMac and iPhone 5s models will be unveiled when WWDC 2014 kicks off next Monday. The prediction is in line with the analyst's report from April, which claimed Apple was on track to launch a low-cost iMac in the near future. According to Kuo, Apple will cut iMac production costs by improving panel lamination and casing yields while incorporating parts-bin components being used in the MacBook lineup. With the new cost-saving measures, Apple's low-end all-in-one will be able to compete with PC manufacturing giants Hewlett-Packard and Lenovo. Despite a more attractive price tag that will likely boost sales, Kuo revised his 2014 iMac shipment forecast from 4.8 million units to between 4 million and 4.5 million units citing sluggish desktop sales. Kuo's prediction comes after iMac ship-by dates slipped to 3-5 days on the Online Apple Store on Monday. Another clue that a new iMac is on the horizon was discovered on Wednesday in code from the latest OS X 10.9.4 beta, which revealed references to heretofore unknown iMac identifiers. As for the iPhone 5s, savings will likely come from a decrease in internal storage, with Apple possibly opting to launch an 8GB version of its flagship handset like it did the iPhone 5c in burgeoning markets. The cheaper iPhone model is a wild card for WWDC, however, as Kuo notes Apple may hold off on such an announcement given the update is minor. Aside from the iMac and possible iPhone 5s reveals, Kuo doesn't expect much more hardware-related information to be disclosed at the event. There is an outside possibility that the much-rumored iWatch may make an appearance as part of iOS 8's introduction, though chances of that happening are slim.